CRUISIN AUTOMOTIVE are the only authorised W.A. 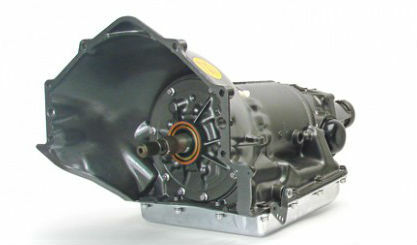 dealer of TCI Automotive – high performance automatic transmissions, torque converters and drivetrain components. The economical TCI Street Rodder is ideal for daily drivers and mild street rods that are powered by engines producing up to 525 horsepower. Perfect for daily drivers and mild street rods. Valve Body Improver Kit creates a more firm, yet not too harsh shift in the vehicle and remains fully automatic. Retains the stock shift pattern for your convenience. 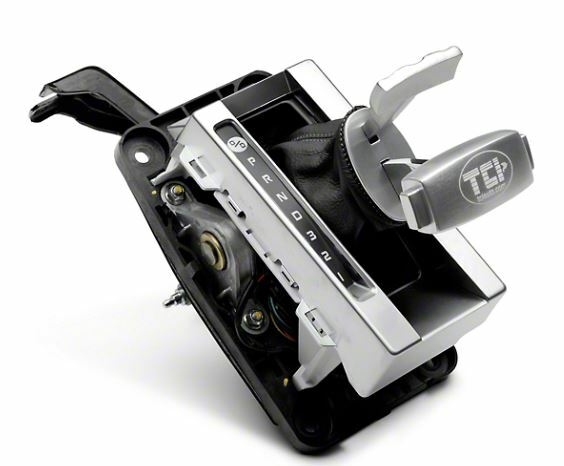 The TCI Super StreetFighter transmission bridges the gap between our StreetFighter series and our full competition series transmissions. Perfect for normally aspirated vehicles powered producing 750 – 1025 horsepower. Manual/automatic valve body means that most units allow you to manually shift the vehicle into each gear change or remain fully automatic. Upshifts and downshifts right when you move the lever, with no lag or governor override to shave time of your ET’s. When you select the normal drive position, the transmission retains positive, automatic shifts for the ease of driving. Flexplates for street use for popular Chrysler, Ford and Chevy applications. Stock replacement, stamped, heavy-duty flexplates available for Ford, Chrysler and Chevy applications, while a complete line of .140″ thick Chrysler and Ford flexplates with GM and Ford bolt patterns are available for use with adapter plate kits. 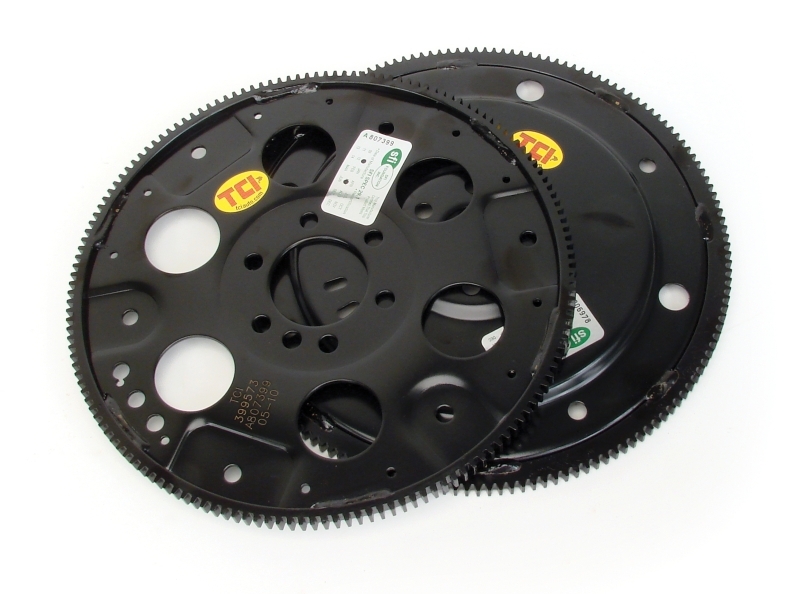 Extra durable flexplates from TCI are also available for Ford and Chevy circle track applications. Constructed from a high tensile strength material. Available for popular Chrysler, Ford & Chevy applications. Circle track applications also available. Park/Neutral safety switch along with provisions for a reverse light system. 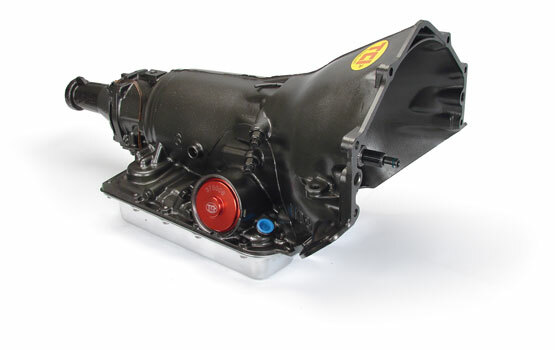 Designed for GM Powerglide & most popular GM, Ford & Chrysler 3- & 4-speed transmissions. Includes 5′ of heavy-duty shuft cable & all hardware.